Judge Jack N’riva has postponed his ruling on whether Youth and Society (Yas) can sue Pioneer Investments and Democratic Progressive Party (DPP) on the alleged fraud surrounding Malawi Police Service and Pioneer Investments food rations contract. Yas, through lawyer Bright Theu, obtained a court order freezing bank accounts for DPP and Zameer Karim proprietor of Pioneer Investments, who allegedly benefitted from fraudulent transactions in the contract. The matter was scheduled to return to court on Monday for a ruling on whether Yas has sufficient interest in the matter after it was adjourned on August 6. The Daily Times found N’riva’s courtroom empty and, upon enquiry, Theu said the judge had communicated to him that he would provide direction on the matter later in the week. “The matter will not proceed today [yesterday]. The judge communicated that he would communicate on the way forward this week. That was the communication,” he said. According to a leaked Anti-Corruption Bureau (ACB) report dated May 4 2018, Pioneer Investments won a tender to supply 500,000 food ration packs to MPS for a total contract sum of K2,327,087,500. The ACB suspects that the firm supplied the food ration packs under questionable circumstances. The report indicates that money amounting to K145 million was on April 13 2016 deposited into a DPP Standard Bank account whose sole signatory is President Peter Mutharika. 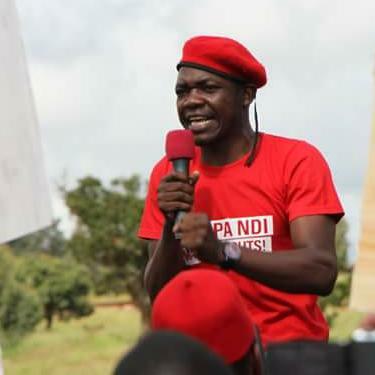 On Monday, August 6, DPP’s lawyer Chancy Gondwe asked the court to dismiss the case, saying Yas does not have sufficient interest in the matter. Gondwe said the organisation has not suffered any direct consequences from the alleged fraudulent transactions in the contract. He said the law gives powers to the ACB and office of the Attorney General (AG) to prosecute on behalf of Malawians, further describing Yas as a busy body. But, in response, Theu said his clients were acting for the common good of Malawians. He said conduct of the AG and the ACB in the matter has forced his clients to intervene.